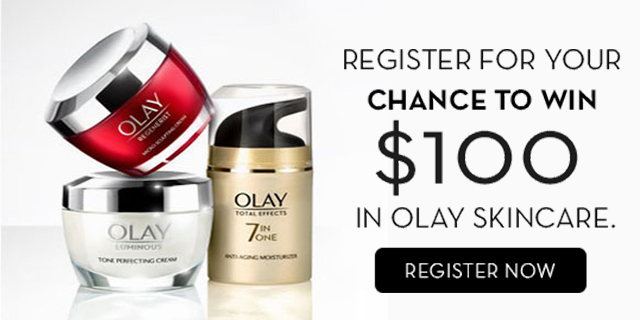 The Target Saver: Register to WIN $100 Worth of FREE Olay Skincare Products! Register to WIN $100 Worth of FREE Olay Skincare Products! Who wants FREE beauty products? For a limited time, you can enter for a chance to win $100 worth of FREE Olay Products! Plus you can get 15% off your first order from Olay of Olay! That's an awesome opportunity! If you love FREE beauty products this form takes less than 30 seconds to fill out and you're done. Make sure you share this post and spread the word with your friends and family so they can enter too!